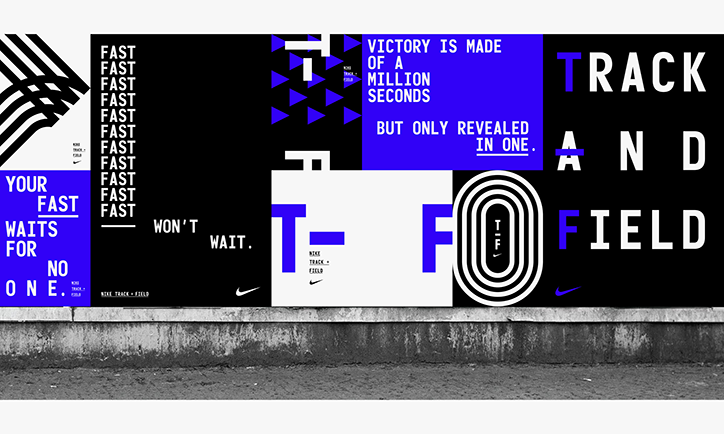 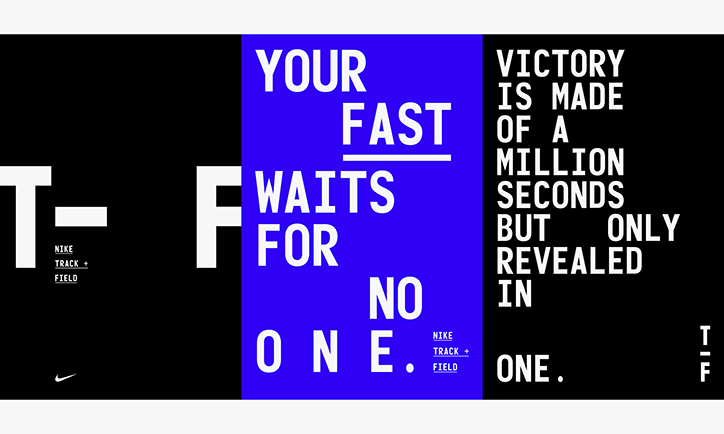 Nike is adding another level of energy and momentum to their Track + Field visual identity, taking inspiration from a running track that athletes are all too familiar with. 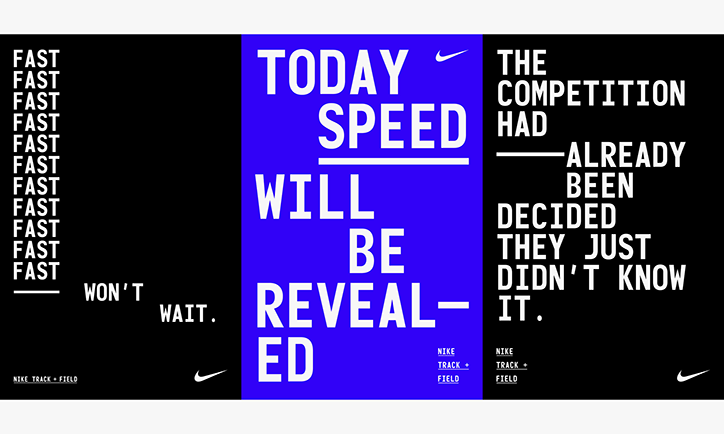 The original Track + Field 2016 branding also took design inspiration from track markings, but in a black, white, and red color scheme. 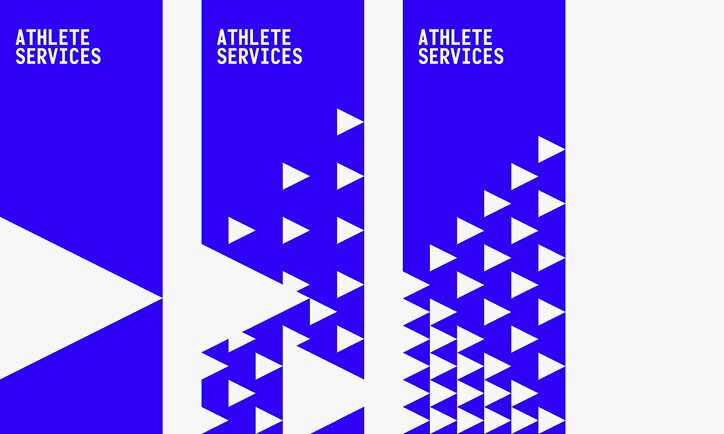 The new identity focuses more on the arrow imagery and is presented in a black, white, and blue color palette. 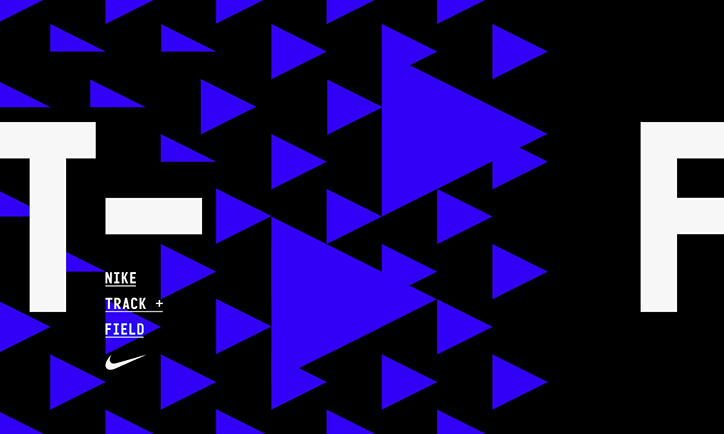 This new branding will be applied to advertisements, banners, apparel, and events soon.